Advice articles and frequently asked questions. Click on the image to watch our video - How to set up a Series 10 mobile yard. Relevant for Compact and Standard models. Should I invest in a Static or Mobile sheep handling system? Each sheep farm has its own unique differences, but without exception all use a form of handling system. At its most basic, a handling system consists of a collection of wooden pallets working up to a multi hurdle, trailer based, pen. Whichever you use both have the same aims; to provide a safe and stress free environment for you and your flock.Many systems have been inherited and shepherds often fail to evaluate if their system is time and cost effective. Is your system still working effectively for you? 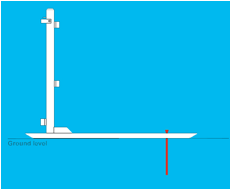 The table below evaluates static and mobile handling systems. Farm locations Suitable for single site farms. Fixed to single location. Suitable for multi-site farms. Can be towed on road or from field to field. Flexibility Fixed pen configuration. Difficult to add to. Set up can be changed to suit any job and is easily added to. Set Up No set up. Time gathering flock to central location 10-15 min set up. Time gathering flock across field. Sheep Stress Medium – High. Sheep moved out of natural environment to central location. Low – Medium. Sheep remain in natural environment. Investment Farm asset with no resale value. Personal/business asset with high resale value. Change of address Fixed to single address. Can be moved to new farm. Space Fixed space in yard or barn which could be used for something else. Can be moved to suitable storage location. In most circumstances a mobile yard will provide a more cost, time effective and flexible system. For more information on Mobile Handling Systems contact Mark at Rappa on 01264 810665. How to deploy a Series 12 mobile yard. Click on the image to watch our video - How to deploy a Series 12 mobile yard. How to load a Series 12 mobile yard. Click on the image to watch our video - How to load a Series 12 mobile yard. Why do I need a mobile yard? Regardless of flock size every shepherd rates sheep stress and personal welfare as a primary concern. There is always a job to be done when you keep sheep, whether drenching, vaccinating or sorting. It is important sheep are handled in a calm and safe manner and you, as the shepherd, are able to tend to them. Sheep are a lot happier being handled in a field, on grass, than in an unfamiliar yard on concrete. This makes a mobile yard the ideal handling tool. This allows you to take the job to the sheep. The basic components of a mobile yard comprise of hurdles, gates and panels, all carried on a trailer for easy transport and deployment. Utilise the hurdles to form a holding pen and panels to form a race. The gates allow access, and can be used for sorting/drafting. The trailer provides easy transport to the field and storage when not in use. Aluminium hurdles are light and easily moved over uneven ground. Avoid hurdles that use horizontal bars along the top. Sheep that jump can get their legs caught and break them. 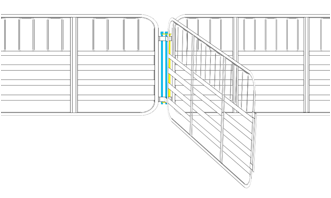 Drafting gates are essential to help separate individual sheep from the rest of the flock. Using a Guillotine gate you can release the sheep from the back of the race. Because you are positioned behind the sheep they will move forward freely. It is important the chassis is lightweight and can be easily man-handled into place. The components are matched to what you require now but can be added to as your flock grows. Type approval ensures you are buying from a reputable and legal company. All companies with Type Approval conform to strict set of rules covering the manufacturing process and products. An alternative to a round pen is to set your yard against a perimeter fence. The pen can be opened wide to surround the sheep. Hurdles can then be pulled against the flock as you work through them. If you have uneven ground set you yard facing uphill rather than downhill. Sheep will move better uphill. Do not set your race up facing the sun. Stock will not run well into the suns reflection. A mobile yard requires minimal maintenance and can last is excess of 20 years making it a reliable investment. It’s a modern tool no shepherd should be without. Aluminium Hurdle Aluminium hurdle. Constructed with horizontal and vertical rails. Has curved corners. Hurdles provide the pen. Connected together by Long Pins. Curved edges allow easier movement over rough ground. Vertical bars should always be positioned at the top of the hurdle. This reduces the risk of broken legs. Panel Aluminium frame with plastic coated, solid black panel. Plastic coated panels allow easy cleaning, reduces glare and higher bio security. Used to make or extend the main sheep race. Linked together by Long Pins.4 panels are 33in | 0.8m wide and 16ft | 4.8m long so are ideal for drenching and crutching. Long Pin Aluminium rod with crimped top. Used to join Lugs and Couplings as well as Hurdle Support Post Brackets. Lug The small aluminium ovals on the end of a hurdle or panel. To join Hurdles match Lugs with the Fixed Coupling and secure with a Long Pin. Couplings fit inside the Lugs. Fixed Coupling The tubes, on the end of a hurdle or panel. 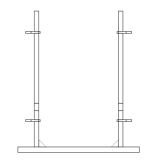 Two Way Connector Aluminium tube with round Lugs attached. Used if you need to join two hurdles at the Lug ends. This often occurs when forming a pen. Hurdle Support Post Aluminium L shaped bracket. Used to provide stability to any pen, counter pushing from flock. Short Pin Aluminium rod with crimped top. Used to secure Hurdle Support Post to the ground. Is the main working area when handling sheep. Can be one sheep wide (18in | 0.5m) for drafting and working over the race or 2/3 sheep wide (33in | 0.8m) when working in the race when drenching or injecting.It is either the fixed race in the base of the trailer or made from panels and spreaders. Spreader U shaped aluminium frame. This is used to create the width of the race. Use a Long Pin to fix to a Hurdle or Panel. Drop In Gate Aluminium gate. Slide in and out of yard base or 18in | 0.5m spreader. Hold sheep in narrow race. Forcing Gate Aluminium self-closing gate with lock shut pin. A large gate used to 'force' sheep into a pen or race. Anti Backing Gate A sprung loaded gate that only allows entry from one direction. Used at the start of a race to stop the sheep backing out once in. Guillotine Gate Aluminium gate that operates like a guillotine sliding up and down. Can be operated from a distance. Allows sheep to be let free whilst the shepherd stands at the back of the race. 5 Hole Plate The sides of the Guillotine Gate Anti Backing Gate and Spreader have a 5 hole plate. Used to attach hurdles or panels to a Guillotine Gate , Anti Backing Gate or Spreader using Long Pins. Also used to fit to yard base. Panel with Side Gate Panel with side gate built in. Use for shedding and letting out. Spreader and Gate Aluminium self-closing gate with lock shut pin. Positioned at the end of a race to let sheep in our out. 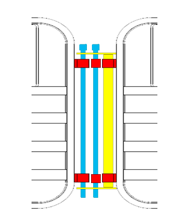 Three Way Connector Aluminium tube with flat hole plate attached. 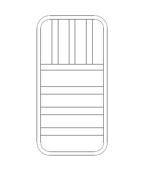 Used for joining three hurdles together or splitting a pen into sections. Type Approval means a product and/or manufacturing process is certified to meet a pre-defined set of criteria. This ensures safe and legal products are manufactured to a consistent and high standard. Why is Type Approval important? Any company manufacturing or importing trailers must gain Type Approval to legally sell those trailers in the UK. Type approval must be sought for both the trailer and the manufacturing process. Mobile Sheep Handling systems are classified as a trailer and therefore must comply. Why is Type Approval important to me? Type Approval means safe and legal products are made, which are of a consistent and high quality. If you are purchasing a mobile yard or trailer it is important you ask your supplier if the product is Type Approved. There is an expectation that insurance companies may soon require proof of Type Approval for any new trailers being insured. Can I tow any Type Approved trailer? Type Approval applies to the product and manufacturer. It is the manufactures responsibility to gain, maintain and comply with Type Approval. It is the users’ responsibility to ensure they comply with legal towing rules. We advise you to check your licence type, towing capacities and familiarise yourself with the law. We would also recommend you regularly check all your vehicles and carryout any maintenance. Who sets Type Approval standards? How do I know if my product is Type Approved? There will be a 17 digit VIN number on the chassis and a VIN plate illustrating the trailer approval number. The only exception is the Buggy. As this is an off-road trailer and does not require Type Approval. Every Type Approved trailer should be delivered with a Certificate of Conformity. If you would like more information about Type Approval and your trailer please call us on 01264 810665. Which height hurdle should I use? You want a height that dissuades sheep from jumping over but you also want a height that you can easily climb over. 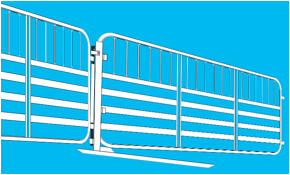 We have the perfect solution, invest in 4-6 x 39in | 1.0m aluminium hurdles. Use these where pressure is higher such as the forcing pen. You can still enter via the main pen through the forcing gate. The vertical staples in the top of our hurdle also dissuade stock jumping and avoid leg breakages if something should make a leap. Why do hurdles have curved edges? Our aluminium hurdles all have curved edges. This we achieve by bending the tube before welding and finally heat treating it to harden the hurdle. It is more expensive to make this way, but worth it. The curved edges allow you to drag several connected hurdles across rough ground. This is both easier and much more time efficient than carrying them. Why do we have vertical hurdles rather than horizontal? Sheep jump. It’s a fact we are all aware of. Hurdle height is always a compromise between keeping them in and your ease of use. That’s why we put verticals in the top of our hurdles. Firstly, the vertical discourages sheep from jumping, the opposite of a horizontal. But more importantly, should they jump, then it avoids them getting the legs caught and potentially broken. Something you want to avoid even more with your dog! When do I use covered and railed drafting gates? Covered drafting gates are ideal for activities such as front of yard foot bathing. This stops sheep looking to their brethren outside. Some people also prefer to draft lambs from ewes with covered gates. Railed gates are better for drawing sheep. This is particularly useful if you are leaving the door open as an exit. Our panels are easily interchangeable with little hassle. As is so often the case, it’s not black and white. Different situations call for different options. Why drafting doors are at the front of a mobile yard? By placing drafting doors at the front of the yard base it can help improve the efficiency of the system. When drafting left and right you may wish to temporarily halt proceedings. With the doors right at the front of the yard the lamb cant get stuck infront of the drafting doors. Whilst the winch bridge can easily be detached from the yard we have in fact designed the front drafting gates to work beneath the winch bridge. This can be particularly useful as it stops flighty sheep jumping the front drop in gate. You can also utilise the drafting doors as an exit for small jobs. 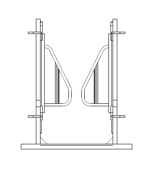 Becuase the 7ft hurdles dont foul the drafting doors, it allows you to only take off what hurdles you need for the job and leave on the draw bar, wheel arm and winch bridge. This results in a very quick deployment. Why do we use heat treatment? All our hurdles are heat treated. This means we can bend and weld the aluminium accurately and efficiently when it is in a relatively “soft” state. The subsequent heat treatment vastly increases the stiffness and strength of the product.